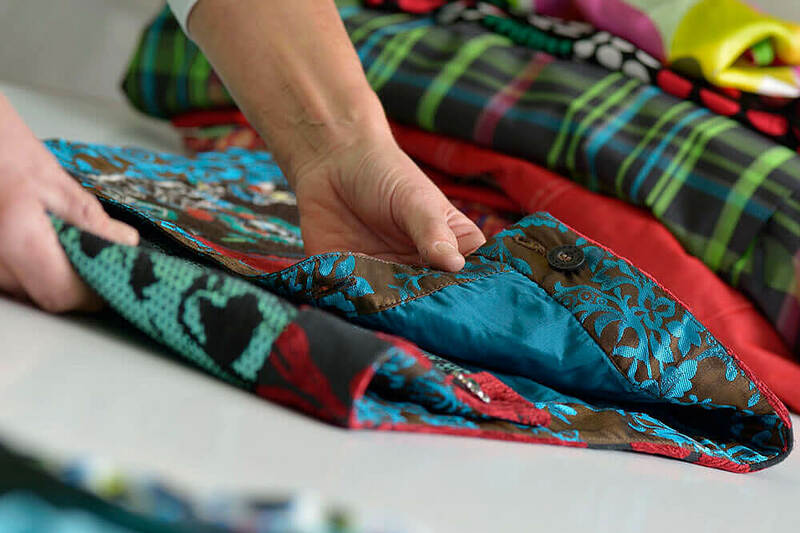 The objective of high-grade textile recycling at Striebel Textil GmbH is to ideally reuse old clothing as wearable second hand goods, and to counteract the overexploitation of nature and resources. We guarantee this for our partners and customers of many years in our modern sorting facility with highly motivated employees. We are a company distinguished by "FairWertung", "FTR (Professional Association for Textile Recycling) and "DEKRA". Our business supplies top quality goods to national and international trade only as well as to the company's own "Stilreich" shop. Sorting of used clothing is performed in accordance with ecological and social aspects. 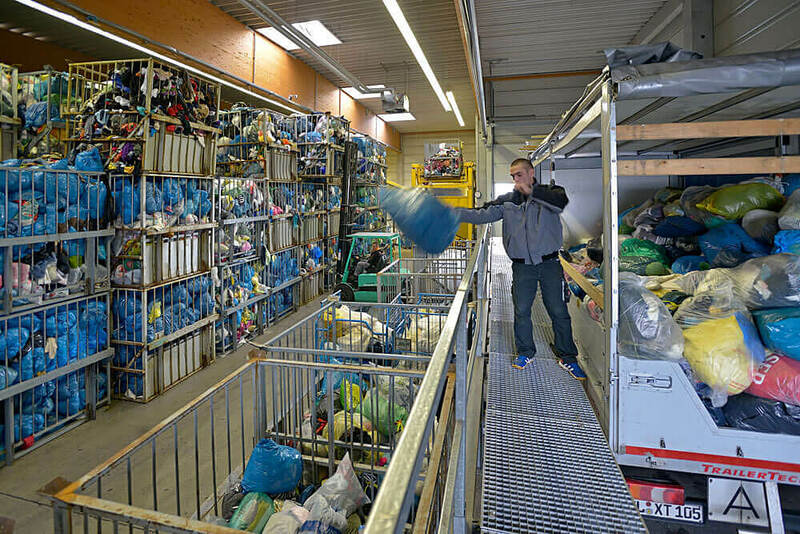 Used clothing that stems exclusively from our partners reputable collections (associations, organizations, schools and charitable establishments) across Europe, is delivered to Striebel Textil unsorted. 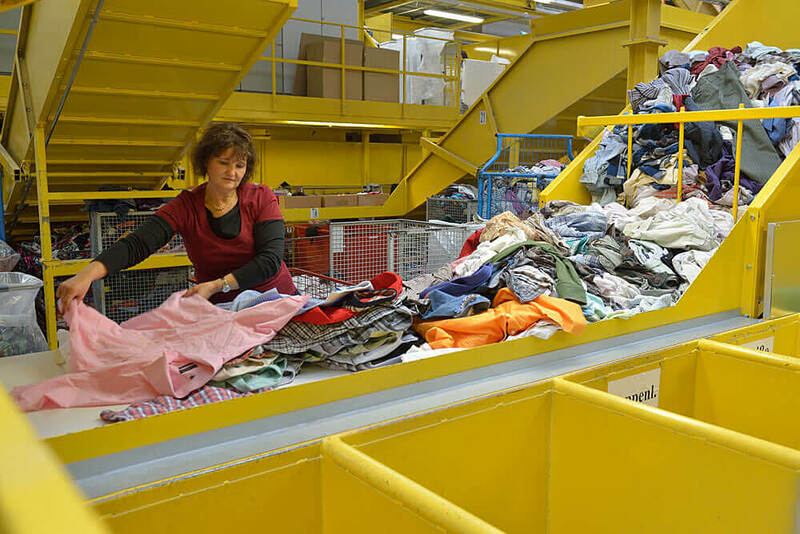 The sorting of the second hand goods in our state-of-the-art sorting facility is done in a socially responsible and ecological manner with respect to employees and the used clothing itself. The sorting is done in 2-shift operation with family-friendly work hours and is oriented towards conserving resources. There are three sorting steps of 14 groups of goods in four quality levels. We use only the most up-to-date standards in our sorting system for used clothing and use computer-controlled robot transport systems. 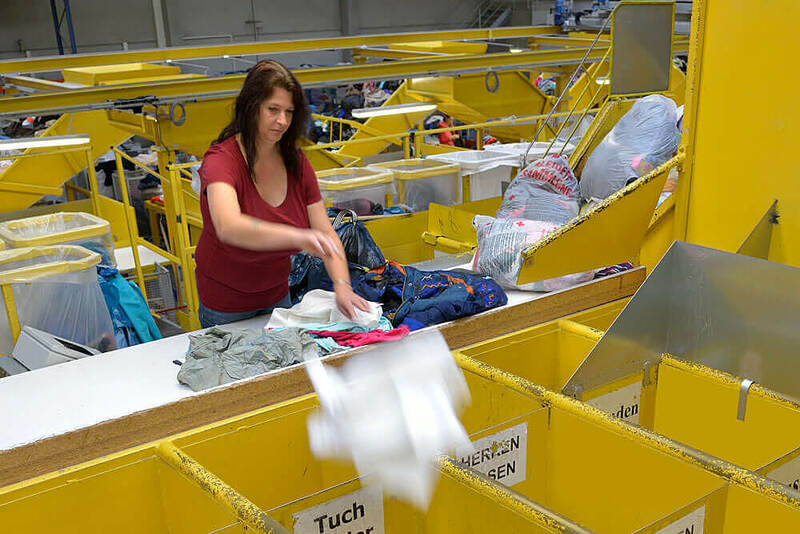 During sorting, all old clothing undergoes strict checks from delivery to shipping second-hand goods; they also undergo a fine sorting that includes a fully automated disinfection process on a disinfecting system, and they undergo a secondary sorting step that follow quality categories "E, 1, 2 and 3." 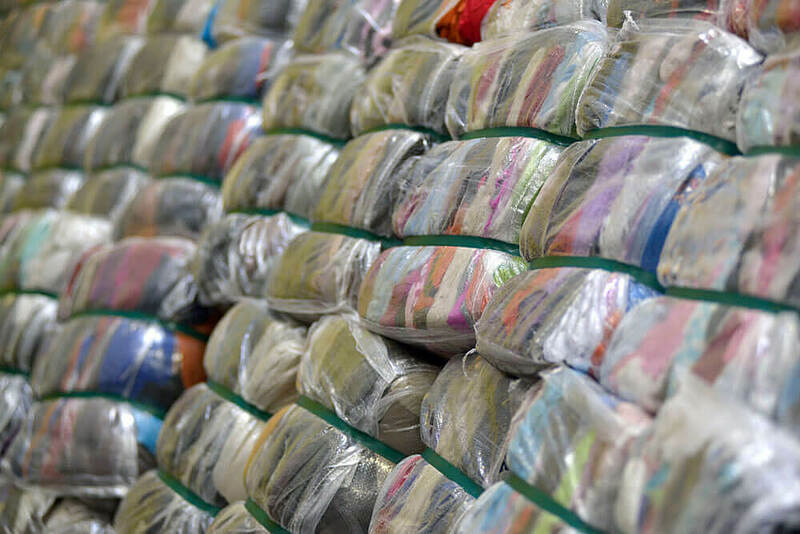 Old clothes of the highest quality level "E" undergo a second re-sorting for sorted used clothes. Up to 55 tonnes of original goods are delivered to Striebel Textil's incoming goods in closed transport vehicles daily. The used clothing comes to us in tear-proof and waterproof bags or clean and dry packaging. We cooperate exclusively with reputable partners across Germany and worldwide, with ecclesiastic or charitable organizations like Aktion Hoffnung, the DRK, Malteser or Kolpingsfamilien as well as with regional associations, schools or kindergartens within a 50 kilometer radius. The used clothing originates from used clothing containers and drives. The textiles are unpacked and placed on a conveyor belt during general sorting. Our trained staff sort out bulky items, like suitcases, shoes, quilts and carpets. Primarily cotton raw materials are sorted out, like cleaning cloths, jeans, knitwear and towels. The journey for items like backpacks, bags, belts, stuffed animals and scarves ends in the general sorting phase - these items are also separated. Used clothing that cannot be worn any more is separated and sent to waste disposal. 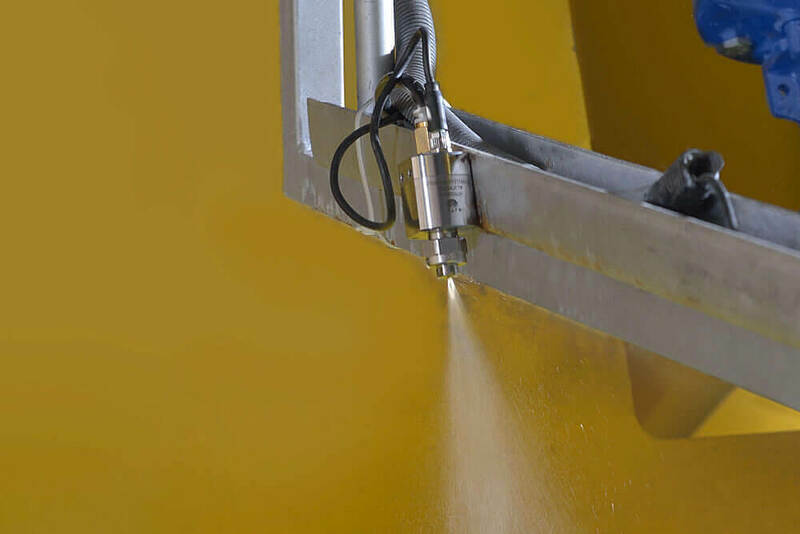 The second hand goods delivered to Striebel Textil are always disinfected after being unpacked by means of a fully automatic spraying procedure. A conveyor belt transports the used clothing to the disinfection system with a motion detector. As soon as used clothing gets there the spray nozzles turn on and spray the used clothing with a disinfectant that meets EU specifications and that is biodegradable. At the end of the sorting process the second hand goods are packed air-tight. Upon request, customers can receive a disinfection certificate that verifies proper disinfection. With a good eye for quality, our employees accurately view, inspect and evaluate the collected goods as part of the subsequent fine sorting of the collected goods. 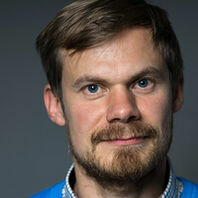 The items are sorted according to 200 categories that range from "top fashion" to "environmentally friendly and reusable" into a total of 14 groups, such as coats, pants, jackets, dresses, skirts, outer garments, parkas, t-shirts and sweatshirts for sports, blouses, sweaters, shirts and children's clothing. Only clean and intact clothing gets a place in our assortment. 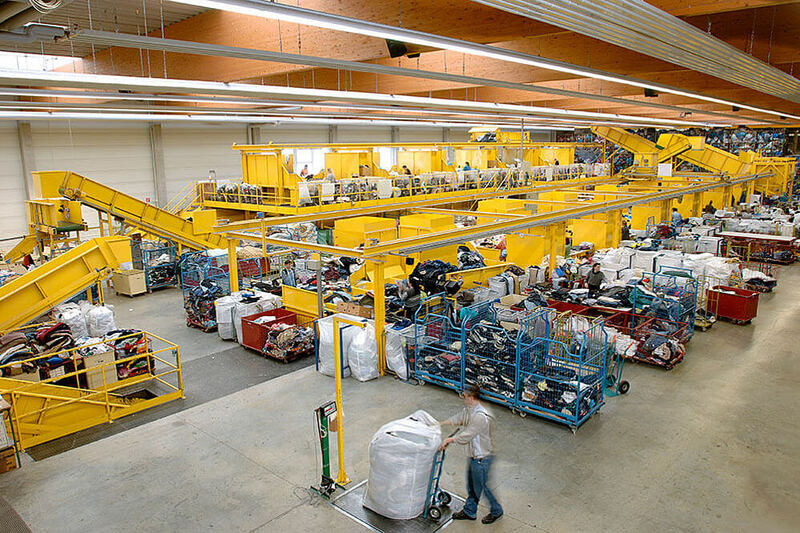 Striebel Textil keeps sorted used clothing in stock, packed clean and hygienic in various packages and packaging with over 200 items for its customers. Sorted second hand goods in quality categories 1, 2, and 3 is available in all standard packaging units and types: plastic bags (10 to 25 kilograms), capp bags from 30 to 60 kilograms (small) and from 100 to 150 kilograms (large) as well as balls from 45 to 90 kilograms (small) and from 300 to 500 kilograms (large). Used clothing in category "E" is delivered in boxes or bags as needed. 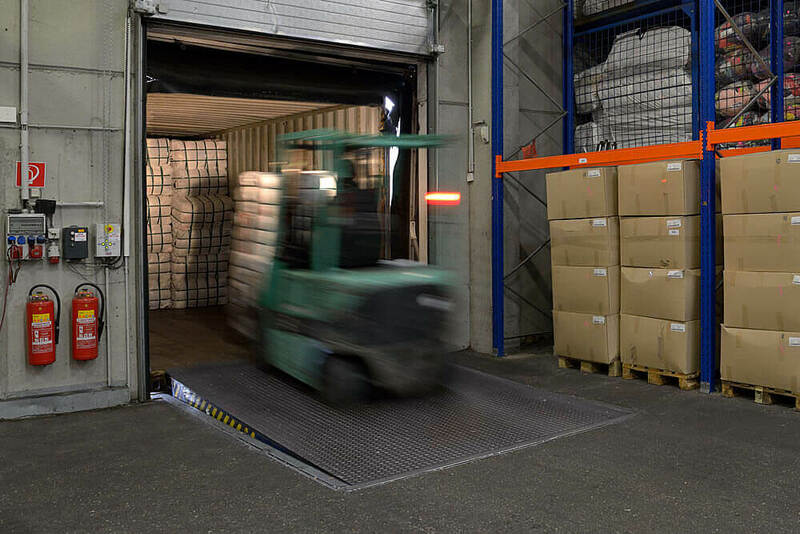 Whether in a shipping container, a truck with trailer, van or car: Striebel Textil adapts individually to your needs. We load disinfected, sorted and air-tight packed second hand goods from the quality categories 1, 2, and 3 in standard packaging units according to the customer's needs. Trained warehouse personnel ensures that the transport vehicles are fully loaded and that the cargo securing guidelines are met. In order to prevent delays we plan the pick-up in arrangement with our customers. Empty and loaded trucks are weighed on a calibrated scale and a weighing certificate verifies and guarantees the actual loaded weight.